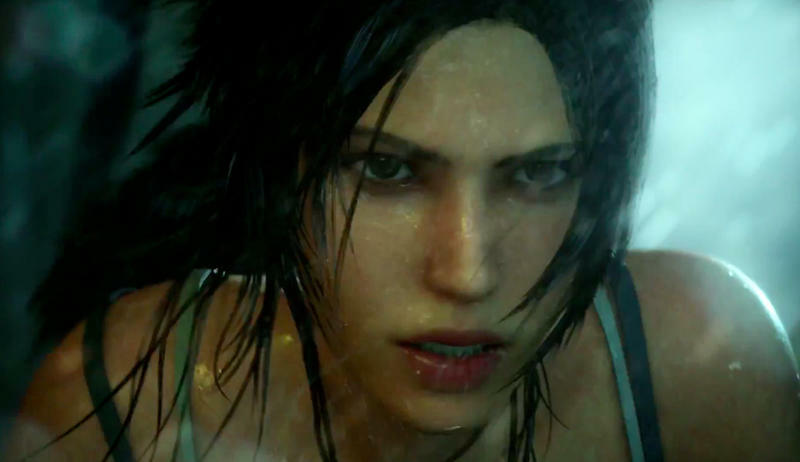 Crystal Dynamics reboot of the classic Tomb Raider series is certified and ready for packaging. More than two years of promising videos, gender oriented controversies and an exceptional hype machine have come to a close. Now the developers can say their final farewells to the fruition of all their hard work, hoping that its sales figures reflect the time and energy they put into the game. Must be a wonderful feeling to finally "be done." I'm pumped. I have a feeling this could be something really special, but I'm also going to lean a little on the cautious side. Cinematic video games were all the rage when I was a teenager playing the PlayStation. Fond memories of playing through Metal Gear Solid or Parasite Eve dance through my mind as perfect examples. From what I've seen, Metal Gear Solid's true vision of seamlessly blending gameplay and cutscenes to create a true "movie game" is finally being realized here. In-engine cutscenes have been a standard method of storytelling for quite some time now, but from what Crystal Dynamics has shown off so far, I've never seen it work so well. I only hope I'm not setting my standards to high mentioning Metal Gear Solid in my reasoning. Studio Head Darrell Gallagher took to the game's Facebook page to thank fans for heir support throughout the development process. It's been a long journey, and it feels like we've been on this one together. Thank you for your continued enthusiasm and support since we first revealed our new vision for Tomb Raider to the world. I am very happy to let you know that we are into the final stretch of what has been an exciting and challenging adventure for the last few years. Tomb Raider has 'gone gold' and is now en route to manufacturing ahead of the game's official release on March 5th, so there isn't too long before it will be in your hands. Back in 2010 when we announced Tomb Raider we promised to break new ground for the franchise – to create an origins story that forges Lara Croft into a hero, and takes her on a journey like no other. I'm very happy that I can stand by those words today. We've put everything into this game, and I'm certain we've created something that explores Tomb Raider's history while pushing the limits in interactive storytelling and design. Development has spanned two studios, a pair of E3 stage demos, 50-plus magazine covers, 150 award nominations, nearly 800 fan art submissions, almost 2,000 blog posts, and over 50,000 replies from you on our forums. And now it's time to get the game into your hands. We sincerely hope you enjoy it. We think you will, We are immensely proud of this game. And with that taken care of, let's just hope Crystal Dynamics hasn't forgotten about their other series in desperate need of a reboot as well, Soul Reaver. But all in good time. Enjoy that vacation guys.